Mergers and acquisitions (M&A) is the legal process of consolidating two or more companies. This typically involves a number of components, such as corporate finances and the purchase of assets which allow for a smoother transaction. The overall goal of combining two or more businesses is to achieve synergy where the new combined company is stronger than the companies were as separate entities. If you are planning to get involved in a mergers and acquisitions deal, it is important to understand how each of these transactions is performed and what the M&A process typically consists of. A merger occurs when two companies combine to form a new company. This involves consolidating finances, assets, and debts to allow the business to work together efficiently. When a merger occurs, the shares of each unique company are brought together to form new shares in the name of the new entity. There are a number of reasons two businesses may choose to merge. For example, if two businesses offer the same products or services and compete for customers, they made choose to merge to expand their market. A business may also choose to merge with a supplier which can save the business money in the long-term by streamlining the production process. An acquisition occurs when one company purchases another company and takes over operations. Also known as a ‘takeover’, an acquisition involves one company taking all or most of another company’s shares in order to achieve more than 50 percent ownership. Depending on the details of the deal, the purchaser may also purchase the company’s assets which allow the purchaser to make decisions regarding assets without approval of the company’s shareholders. In some cases, an acquisition transaction may occur even if the acquired company does not want it to. This is known as a hostile acquisition. Consolidation refers to the amalgamation of smaller business entities into a larger organization. All of the business’s assets and liabilities then become the property of a new company. Before a successful consolidation can be achieved, the stockholders of each company must provide approval. Following this approval, the stockholders are given common equity shares in the name of the new firm. Consolidation also relates to the accounting process that businesses encounter during mergers and acquisitions transactions in which financial statements of each entity is aggregated into a single consolidated account. In a mergers and acquisitions transaction, a tender offer is an offer to buy some or all of the shareholders’ shares in a business. The price of the shares is typically at a premium to the market price. This provides shareholders with great incentive to sell their shares. A tender offer is also referred to as a takeover bid in which an investor has the goal of taking over control of a business. There are several key advantages to tender offers, such as the ability to include escape clauses that release acquirers’ liability to buy shares. Investors are also not compelled to purchase shares until a specific number are tendered. What are the Differences Between Mergers and Acquisitions? While mergers and acquisitions have certain similarities, there are some distinct differences to be aware of. The main difference between the two lies in their definition. 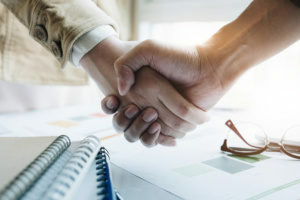 While a merger is the fusion of two or more companies voluntarily to form a new company, an acquisition occurs when one entity purchases another. With a merger, there is a formation of a new company. This is not true with an acquisition. In addition, a merger generally involves up to three companies, while an acquisition just involves two. The purpose of each type of transaction also differs. The main goal of a merger is to reduce competition between similar companies and to boost operational efficiency. However, the main objective of an acquisition is to achieve instantaneous growth. Another difference between the two relates to the size of the businesses. With a merger, the size of the merging companies is often very similar. However, with an acquisition, the size of the acquiring company is typically more than the size of the acquired company. If your business is preparing for a merger or acquisition, you may have many questions on your mind, like “What is the process of M&A?” and “How exactly does it take place?” If you are a newly established business, you may be asking, “What are mergers and acquisitions?” As paramount aspects of corporate strategy, finance, and management, it is important to familiarize yourself on all the different aspects that make up these types of transactions. 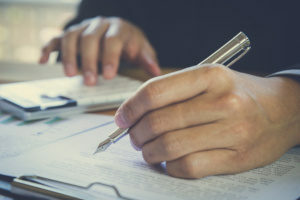 To learn more about mergers and acquisitions, how they work, and the differences between them, contact the mergers and acquisitions attorneys at OFP Law.